White wood wall mount photo frame holds a 5x7 LANDSCAPE photo. Two inset words FRIENDS FOREVER on top and bottom of picture. 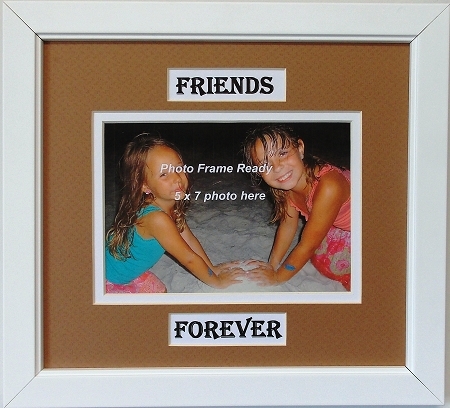 Overall size is 11-1/2 x 10-1/2 and includes mount board, double mat with beveled edges, glass and wall hanging system.